Global fast fashion brands are churning out more clothes than the planet can handle. Today’s trends are tomorrow’s trash, with our clothes made cheaply and disposed of quickly. It’s time to redress the balance, challenge the throwaway mentality and invest in quality over quantity. For decades, companies have chosen to use nature, and in particular our rivers and oceans, as a dumping ground for hazardous chemicals. 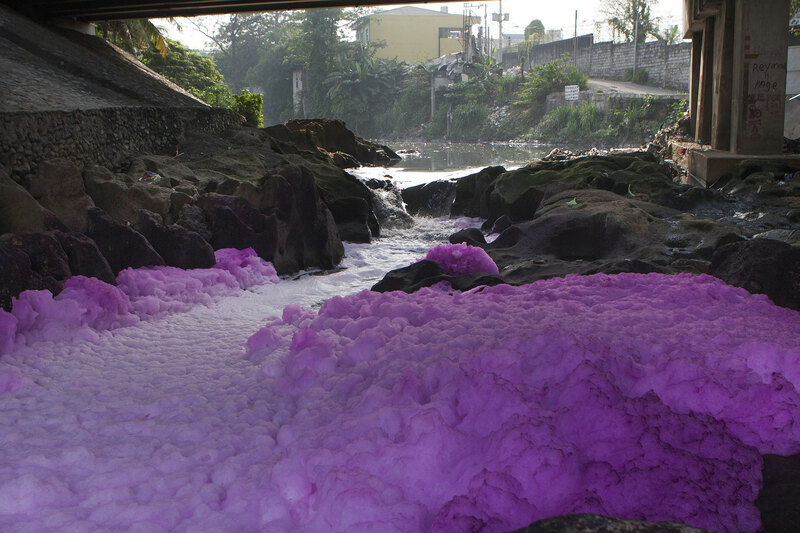 Communities living near textile manufacturing facilities face water pollution as a daily reality. Regulations have not always prevented the release of toxic chemicals into the environment, particularly in the Global South. That’s why we need companies to commit to end the release of chemicals to stop tarnishing our rivers, lakes, lands, oceans and people. If the fashion industry has the power to influence trends, then it also has the power to play a positive role in protecting the planet. Since July 2011, Greenpeace has secured commitments from international brands, retailers and suppliers to eliminate hazardous chemicals, including help to trigger policy changes in Europe and Asia. Eliminating toxic chemicals is just the start. From fast fashion to textile waste, we need the global textile industry to be a true ‘trend setter’, and take a stand on the environmental and human impact of fashion. Scroll through the timeline below to discover how seven years of campaigning to Detox the clothing industry – with investigations and reports to actions, petitions and “people power” – led to 80 company commitments to Detox and other breakthroughs on policy. Buy nothing - make something! Looking for creative ways to extend and enhance the life of your clothes? Why don't you become a maker in our MAKE SMTHNG community? Follow us on our Instagram Channel @makesmthng or browse our website www.makesmthng.org for lots of tutorials and reuse ideas. 2 Buy nothing - make something!